I’m actively trying not to show you too much of this shed, but I may or may not be dreaming of a sleepover there one night soon. When I left you last week, I was singing the praises of my newly painted floor. Rainbows and magic beans, folks. This week I’ve been getting to the business of art on the walls, decorating and organizing. Both sizeable tasks, but both super fun! Balance is just a fancy word for spread out the love. This can be across a large space or within a specific gallery, but in general I look to balance the colors or the textures or the medium. Huh, you say? 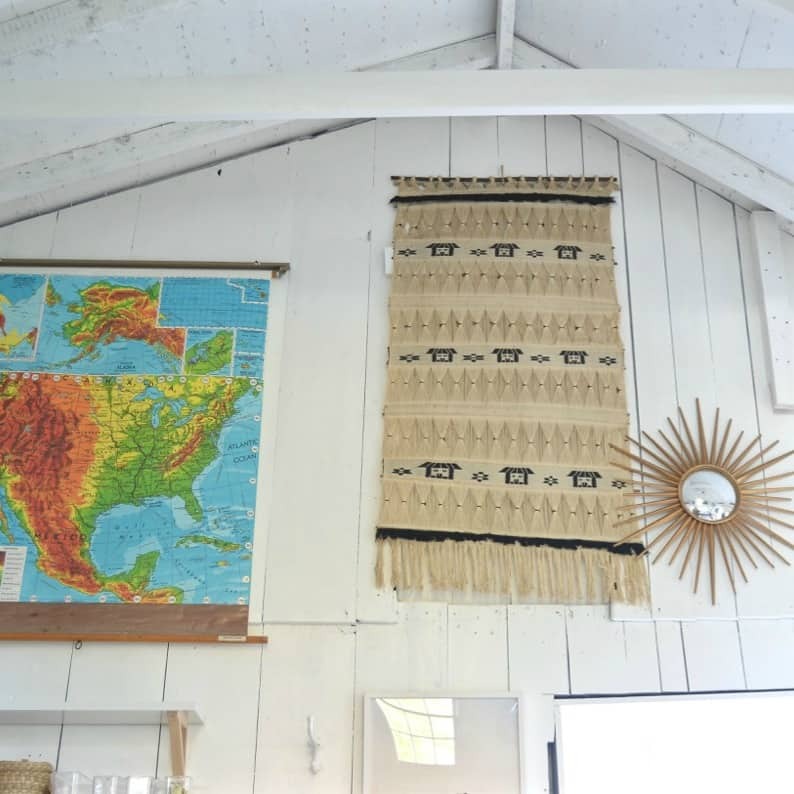 Okay, take the shed for example: I have a pair of woven pieces, so I split em up and put one on the right wall and the other opposite on the left wall. 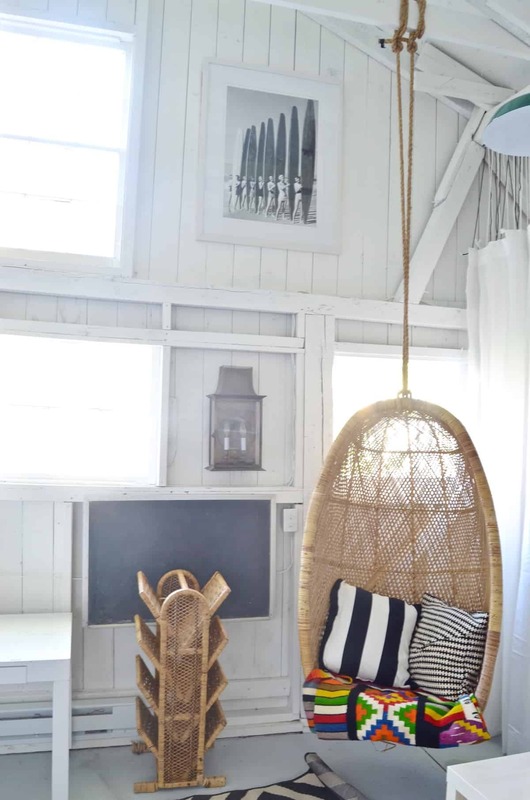 The bright blanket in the hanging chair relates to the map and keeps that side of the shed from being the “colorful” side. Which I guess is kind of cheating because the blanket’s not wall art, but you get the thesis of my non-plan plan, right? ‘Just because’ moments are the moments that don’t necessarily fit a design board, but they bring meaning. They’re personal. These are the elements of space that make it one-of-a-kind and emotional. 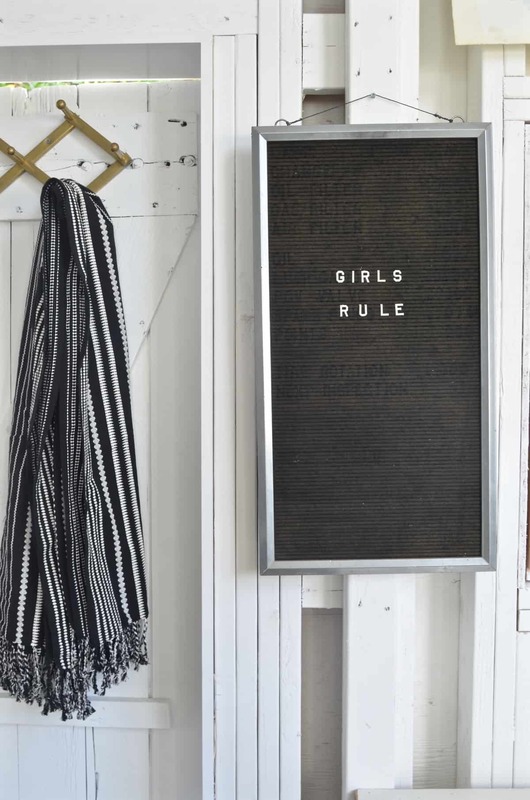 In other words, these are the most important parts of a room! 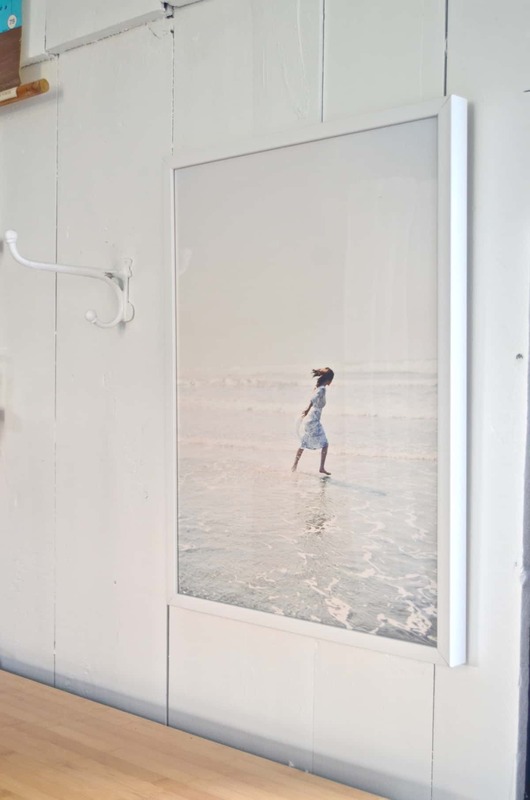 My first ‘just because’ moment is this amazing photograph I was sent by Minted. 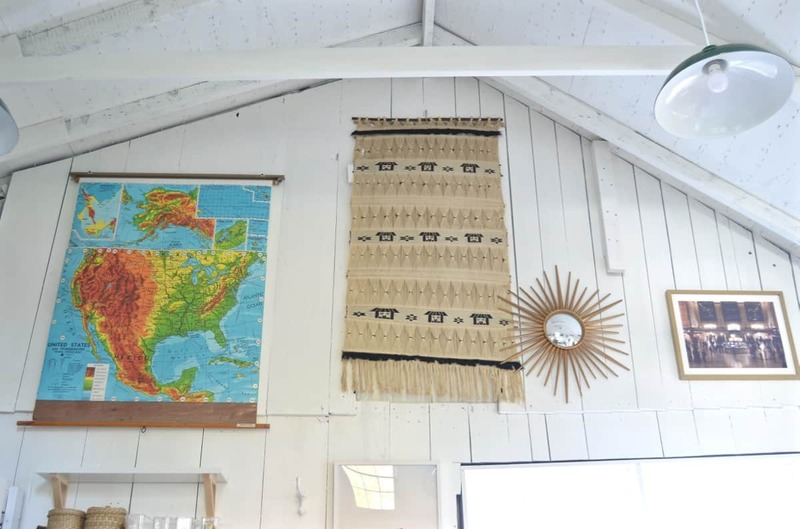 I wanted something more contemporary to balance the thrifted/ vintageness of the weavings and the map. This photograph is how I’d love my inner-self to be. Calm… peaceful… basking in the sun. Ha. I may not be quite this relaxed, but it’s a great reminder for my work space, no? 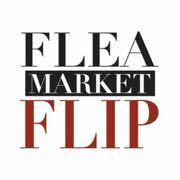 If you follow me on Facebook, then you know I head to the flea market bright and early on many Sundays and I share all the quirky or potential scores that I spy throughout the morning. These gals caught my eye from the back of a crowded blanket. 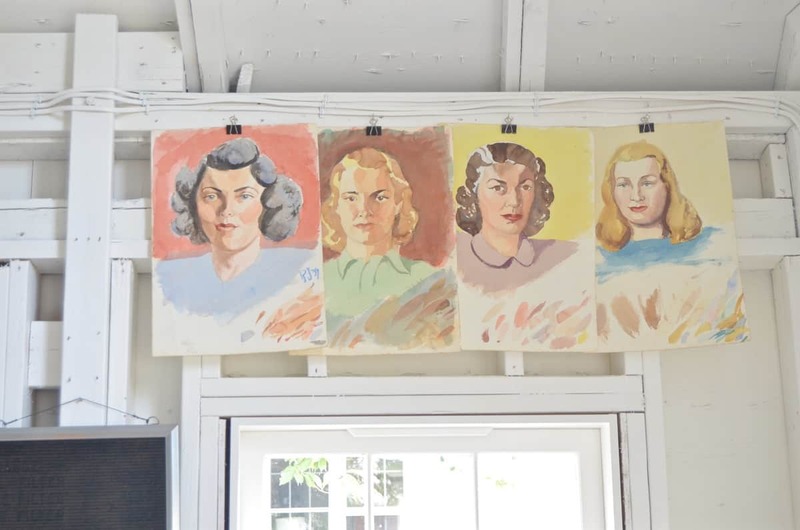 I studied painting in college and love the idea of someone practicing their brush strokes and watercolor wash as these women each sat quietly for their portrait. These ladies are my squad. Like I said… decor is personal. If you like it… YOU like it. Don’t worry about “rules”… just worry that you feel happy and comfortable in YOUR space. In my best little Red Riding Hood’s voice, “Charlotte, what beautiful things you have!” : ). I love all your personal touches in the space. 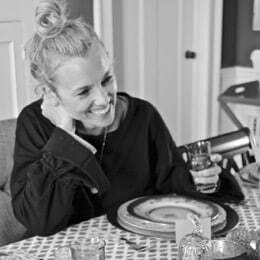 Like you, I agree decor is personal. Thanks for sharing. HAHA! Hilarious! This space is definitely a hodge podge! i LOVE all the thrifted art- the hangings and those girls are awesome! good finds! Love your lady squad, Flea market art is the bomb! Love your artwork and your style! Can’t wait for the big reveal next week!! You are the best hoarder!! 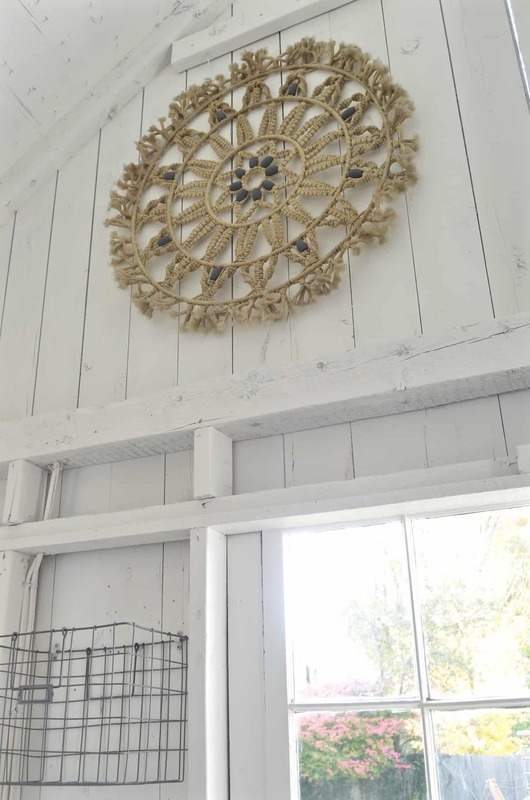 Love that circle woven piece… I call dibs if you ever want to get rid of it. Haha! I should get that tattoo: World’s Best Hoarder. Love the explanations! 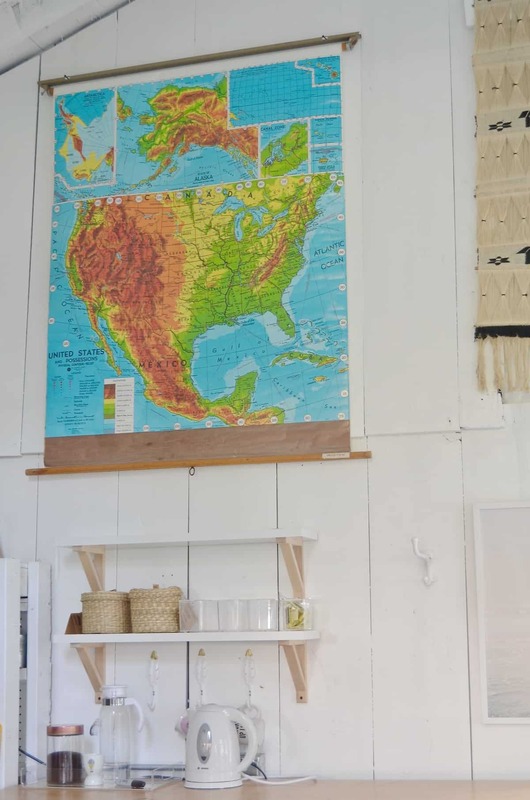 Are you concerned about the watercolors (or others) hanging in the unheated shed during the super cold months? I’d be afraid of condensation/moisture in the unheated space…not to rain on your loveliness…I’m totally jealous. I love it!! I could totally walk in there and start creating immediately!! I kind of feel the same way! Love having all my stuff in one space! I love your home girls! they def have your back! HAHA. So far, they’ve been a great posse! This shed is just the best space ever!!! When’s the girls rule party?!?!? Whenever you show up! 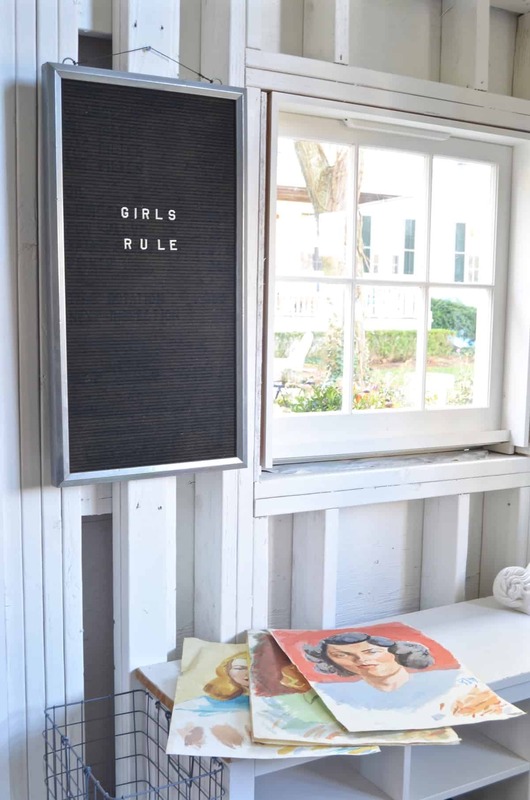 Girls rule! This space is looking so fantastic Charlotte!!! Love how much personality you’ve infused in here with your art! I can’t wait for the big reveal this week!! Thanks, Lisa! The 6 weeks have FLOWN by!